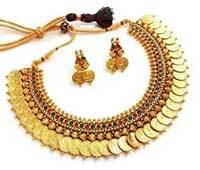 Buy La Amber Temple Coin Necklace Earring Set For Women at just Rs. 499 while the actual price of this product is Rs. 1999. You can get this at just Rs. 499 due to 75% discount. To get this product, please follow the below given steps.